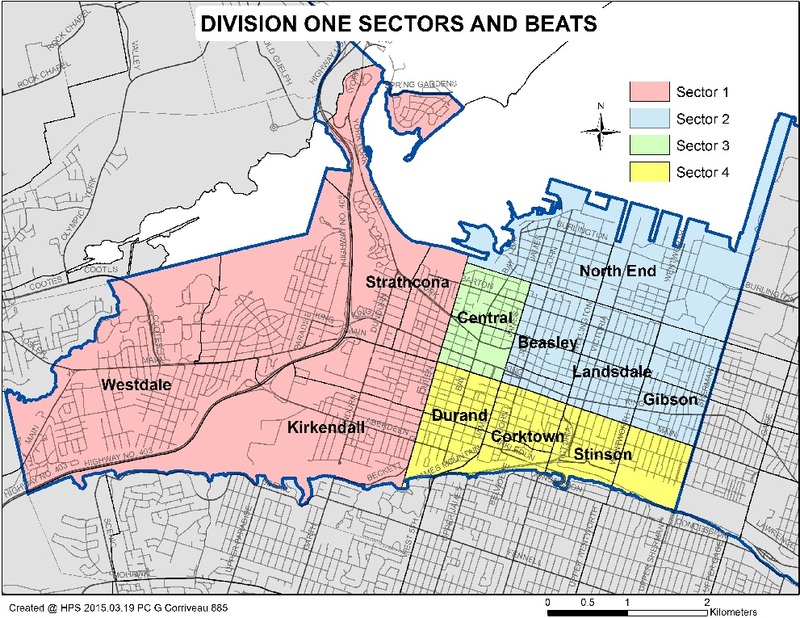 Division One provides policing services from Sherman Ave (to the east), Main St W (Dundas border to the west), the escarpment (to the south), the Cootes Paradise of the Burlington Bay (to the north). 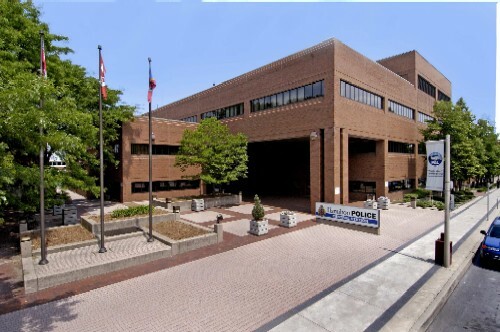 Division One is located at Central Police Station which also houses the Corporate, Investigative and Support Services Divisions of the Hamilton Police Service. Division One Uniform Patrol deploys personnel on four squads to staff four sectors to serve the community in both proactive and reactive methods.